Robert O’Neill, the former Navy SEAL who says he shot and killed Osama Bin Laden told Fox News in an interview broadcast Tuesday evening that he wrote letters to his loved ones before leaving on the 2011 raid on the Al Qaeda leader’s compound. O’Neill’s letters also included advice for his young children. 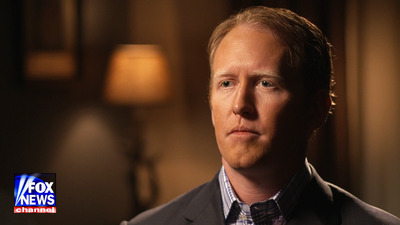 O’Neill’s interview with Fox News is filmed for a two-part exclusive documentary. The second half is scheduled to air on Wednesday evening. After the raid was successful and O’Neill returned home with his fellow SEALs, he destroyed the letters. “Instead of something horrible happening, something great happened,” said O’Neill. After writing the letters, O’Neill had one more final message to send. Just before leaving on the highly classified raid, he called his father. In the conclusion of the first part of the Fox News broadcast O’Neill also described his feelings as he boarded the helicopter that took him to Bin Laden’s compound in Pakistan. “I can only imagine it’s like the feeling in the tunnel for an NFL player before he’s about to run on the field in front of 100,000 people. It was like, it is time to do my job,” said O’Neill. O’Neill also discussed what was on his mind after the SEALs took off. O’Neill has said he decided to go public about his role in the raid after speaking to a group of families of people who were killed in the September 11th attacks at a memorial earlier this year. However, some of his fellow SEALs have reportedly cast doubt on his claims. The Pentagon has also suggested he could face criminal charges for revealing classified information.